Social media marketing has become an essential tool for hotels. When you invest some time in developing social media marketing strategies for hotels, these marketing channels can do so much more than simply market to your guests. They can help you engage with guests on a more personal level, so you can build loyalty and establish your hotel brand. 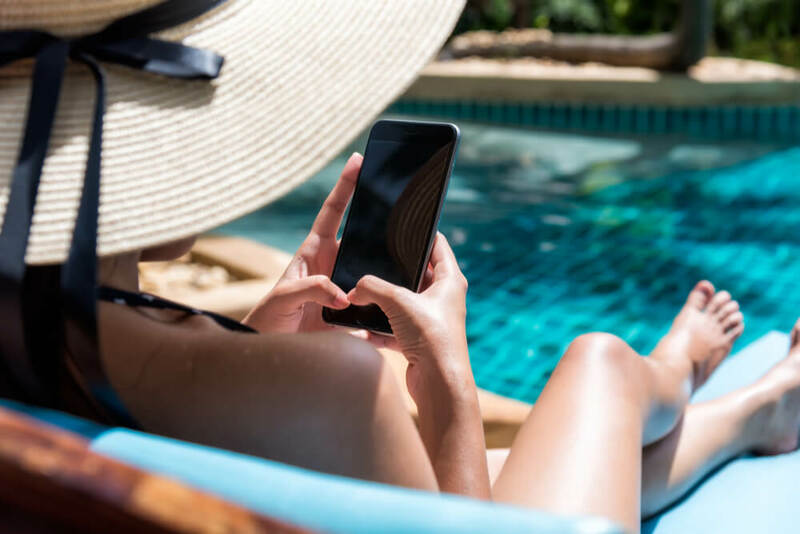 We have some tips that will help you leverage social media to begin enjoying a higher level of engagement and brand awareness for your hotel. One of the mistakes hotels make is trying to jump into social media marketing without a set strategy in place. Do you want use your social marketing strategies to increase bookings? You will need to concentrate on sharing discounts and last minute deals. Are you trying to generate more enrollments in your loyalty program? Maybe you want to create a strong brand for your hotel or improve engagement with guests. Focus on just one or two goals to get the best return for your efforts. Once you set specific social marketing goals, you will be able to create a targeted social medial marketing strategy for your hotel, assess the effectiveness of your strategies, and adjust as needed. It may sound silly at first to think of your hotel as having a “voice” but it really just means you need to define the brand you want your social marketing to project for your hotel. Is your hotel a refined retreat from modern stress? You will want to post messages with a sophisticated flair. Maybe you have a fun resort that caters to families and children – you will want to post upbeat, lighthearted messages that invite everyone to join in the fun. Fit your social voice to your hotel’s image to create a marketing brand. Consistency is one of the keys to building successful hotel social media strategies audience for your hotel – guests are more likely to check in each day if they know you will have a pithy post waiting for them. Posting too often will chase guests away, however. Experts recommend sending out a maximum of three posts per social media channel per day. Simply posting on social media and hoping to reach travelers is not going to work anymore. Organic reach for social media posts has significantly decreased as Facebook, Twitter, and the other social networks began concentrating on monetizing their brands. Fortunately, promoted Facebook Posts and Tweets provide an easy way to increase the reach of your hotel social media strategies. Start small with your paid social marketing strategy, investing more money in promoting the posts that get the best response from guests. Guests often turn to Twitter and other social marketing strategies to find information about local events around your hotel. You can take advantage of this trend by adopting a local social media strategy for your hotel. Creating a coordinated local social media strategy for hotels is easier than it sounds – much of it is what you already do naturally in your personal social media postings. Turn your Twitter feed into an information hub for nightly schedules of happenings in local pubs and nightlife. Create playful Instagram Stories that show what guests can experience in a night on the town at your hotel. Incorporate Facebook Video to show local dining opportunities and Tweet out video clips with daily specials. If you would like more tips on using social media marketing strategies for hotels, call Travel Tech Strategies today. Our marketing experts can develop a complete social media marketing plan for your hotel that includes responsive hotel web design, social media marketing services, video marketing, PPC marketing services, and more to help you increase interest in your hotel. Contact us at Travel Tech Strategies today at 954-635-5169 for help implementing social media marketing strategies for your hotel to build your brand and help ensure your hotel’s ongoing success! All trademarks remain property of their respective holders.